When he was President of the Oxford University Conservative Association, William Hague was convicted of electoral malpractice. Later, Hague, who looks like Yoda in Star Wars, became Leader of the Conservative Party and a Cabinet Minister. Hague said that Yorkshire was the finest county in England because it had marvellous countryside and was full of Tories. Somebody needs to tell him that Sheffield and Hull are not in Lancashire. They can also ask why, if he is such a fan, he lives in a £3m mansion in Wales. Helmsley is a small market town in the North Yorkshire Moors. Trendies and egotists may obsess over the Coast to Coast Walk but the Cleveland Way, which begins in Helmsley and ends 117 miles later in Filey, is the finest long distance walk in England. Helmsley should appeal to the Yoda who retreated to a mansion in the swamplands of Wales. Helmsley is Tory Heritage Britain, a village soon obliged to mount the fake Magna Carta festivities being urged by a Government that will abolish the Human Rights Act. Helmsley prospers because of tourism and agriculture. The locals have benefited from stability and are conservative. But if you want Heritage Britain, and can ignore doubts about rural authenticity, Helmsley does it as well as anywhere. Despite intense competition, its fish and chip shop was voted number one in Yorkshire. 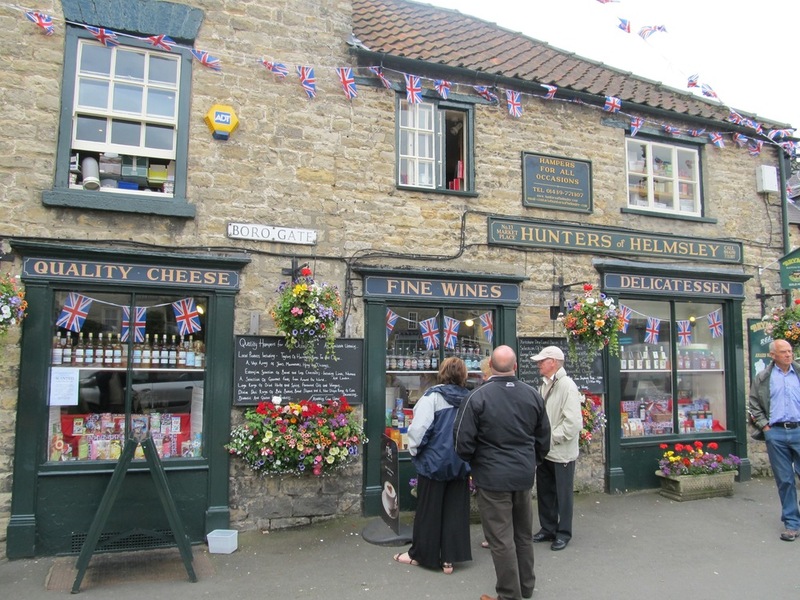 The corner shop delicatessen, Hunters, was deemed the best small shop in Britain. It sells fine cheeses, pies, sausages and beer. But the Helmsley formula for continuing stability was threatened in 2005. In the Helmsley flood two and a half inches of rain fell in half an hour. Some villagers had to be airlifted from the village. The River Rye, which is important to the charm of Helmsley, had become a threat. My own mortality was also threatened in Helmsley. On the last day of the final holiday that I took with my two daughters I realised my children were now independent adults. The countryside vacations that stability hinted would last forever had ended. How never ending stability impacts on the thoughts of mortality of rural folk only they know but I hope that they have a better time of it than I had that day. The Arts Centre in Helmsley has an appealing 140 seat theatre. Its repertoire mixes the traditional and the challenging and always insists on being serious. Germaine Greer is not known for her devotion to stability but she is there in Helmsley on the 5th of June. Helmsley has a population of 3,500 but local endeavour has produced the band, One Night Only. The band had modest chart hits. They may now, though, be working in the City. A modest circular walk links Helmsley Castle and Rievaulx Abbey. This splendid Abbey is the second largest in Yorkshire and the first resting point on the Cleveland Way. 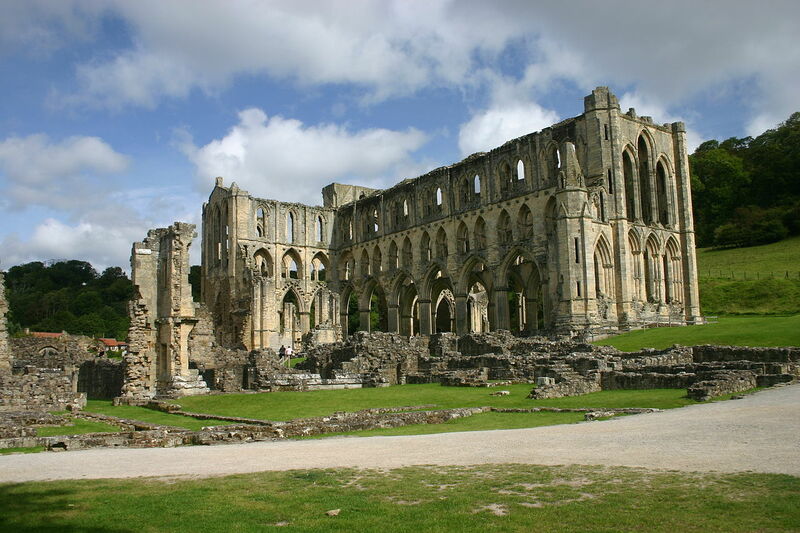 The Abbey was built in the 12th Century but was in decline when Henry the Eighth had the roof removed in 1538. The Abbey was an economic institution but the economy suffered from epidemics of sheep scab, raids from Scottish warriors and poor management by monks who were tempted by the kind of thing you now find in Hunters on the corner of the village square. Posted in Cleveland Way, Coast to Coast Walk, Filey, Germaine Greer, Helmsley Arts Centre, Hemsley, Henry 8th, Human Rights Act, Hunters Hemsley, Magna Carta, One Night Only, Oxford University, Rievaulx Abbey, William Hague and tagged Britain, politics, tourism, travel, Walking on June 6, 2015 by Howard Jackson.